I've been veggie for over 2 years now and hand on heart it is one of the best things I've ever done. I didn't eat a lot of meat before I decided to give it the boot once and for all so making the switch was really easy for me. In the time I've been veggie I haven't had any cravings for any meat products or felt like I'm missing out on anything. I perfectly happy living my meat-free life. The middle of last year James decided to start cutting down his meat intake then the end of last year fully made the switch to veggie. The next step for me is transitioning into to veganism, something I've tried in the past and found really really tough. I guess when it comes to making the switch to becoming vegan you have to do a lot more research as to what is actually in your food, I also found it hard round where I live to find places that cater to vegans which was kinda pants. I also found that milk is in EVERYTHINGGGGG. So, this year instead of making the switch cold turkey, ima try and slowly cut things out. 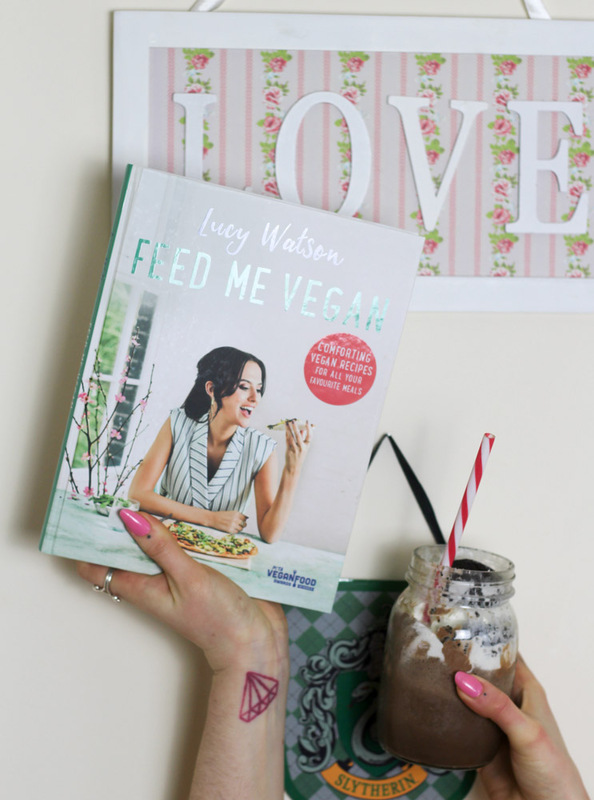 I know my main challenge is gonna the sweet stuff, ya gal has a crazy bad sweet tooth HOWEVER after having a flick through Lucy Waston's ''Feed me Vegan'' I found it may not be challenging as I first thought. 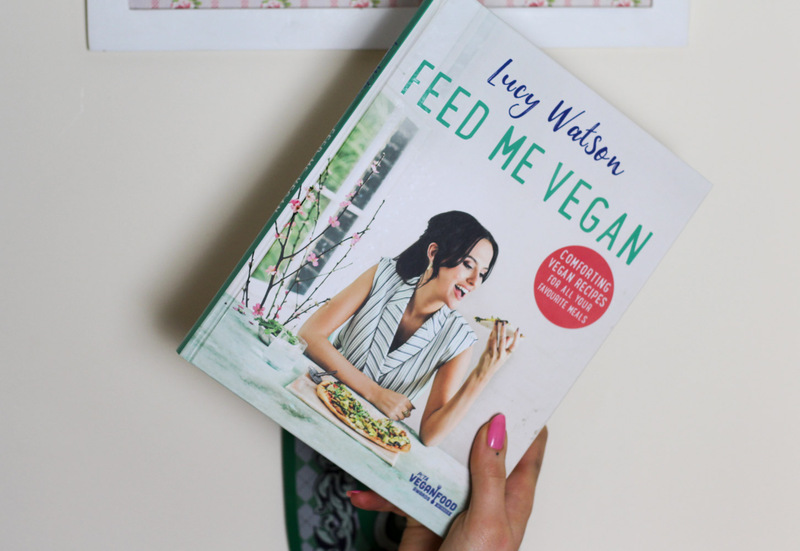 The guys over at the Book People very kindly sent me this out from their Vegan cookbooks range and I've been eagerly waiting to get stuck in and start making some vegan goodness. I do though, have a little confession. . . . I'm abysmal in the kitchen, so much so I don't even know how to turn my oven on. . . . - I wish I was kidding. 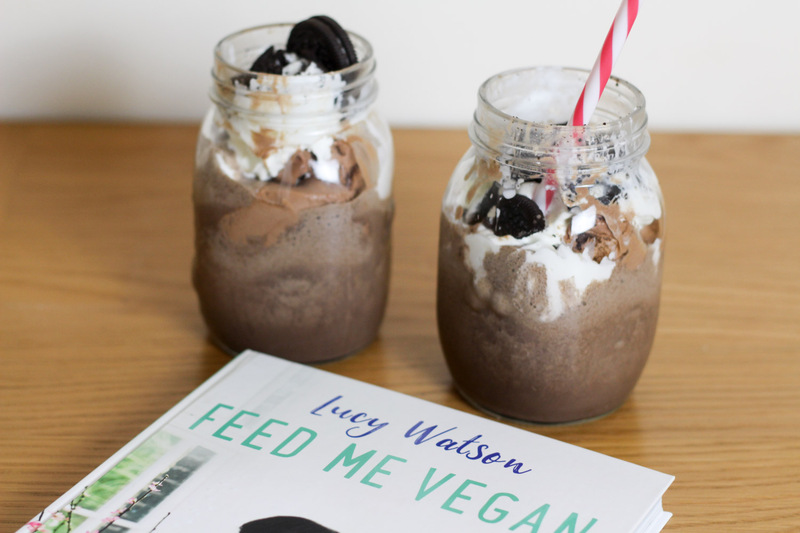 So to start off I picked out something that wasn't too complex to make so it was a no-brainer we tried out the Vegan thick shakes first. 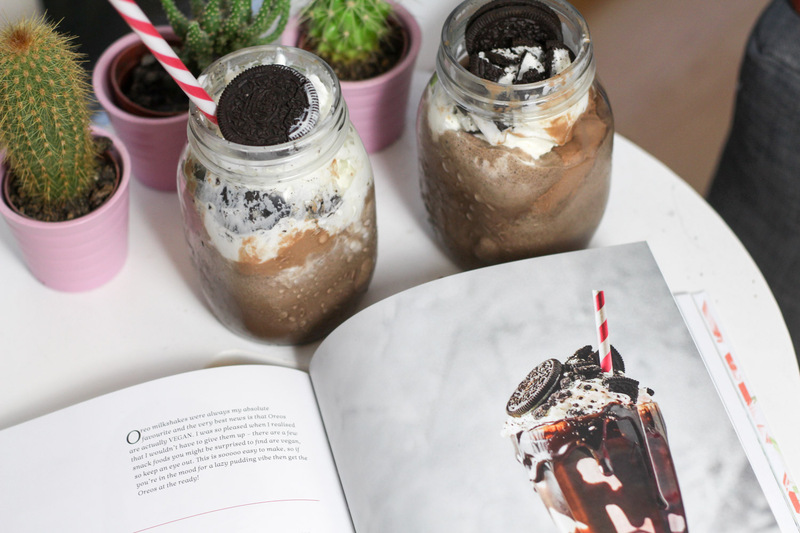 The cookbook is beautifully illustrated and really easy to follow. It's split up into different sections for breakfast, light bites, heartier food and then desserts and cake. You better believe I headed to the latter first. 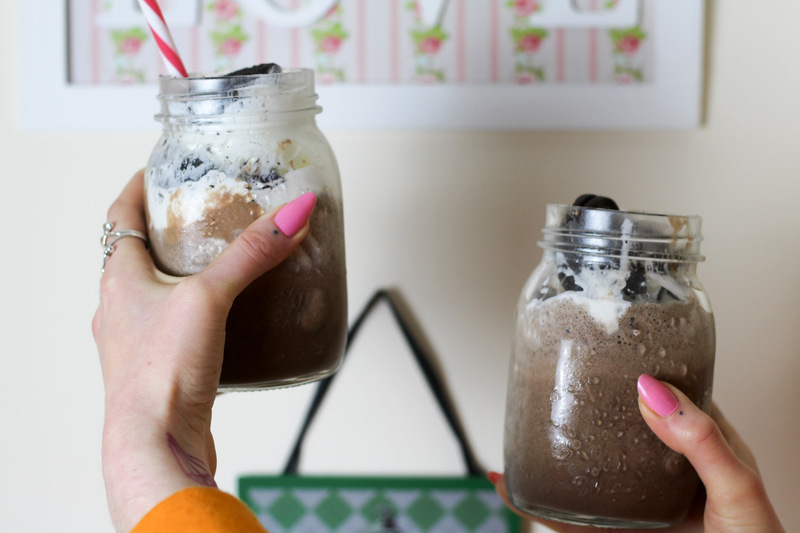 All we needed was some almond milk, Oreos, vegan ice cream blended it together and then finished it off with vegan whipped cream and more Oreos for decoration. My only regret is that I didn't make more. Next weekend James and I are going to try our hand at the vegan lasagne followed by the vegan cheesecake. 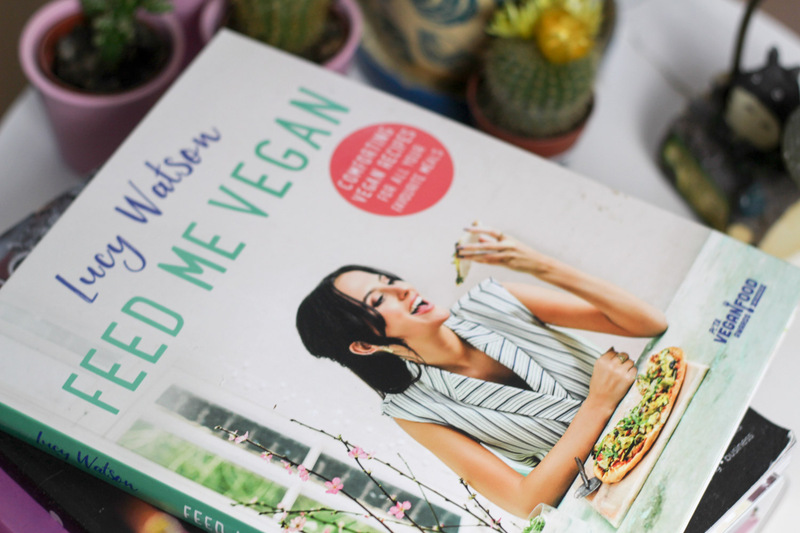 I going to try and aim and make a few dishes from the book a week to help aid my journey into full Veganism. Yeah I'm much more like you, massive sweet tooth and I find it overwhelming if I was to cut lots if things out at once. I'd definitely do little by little as well. 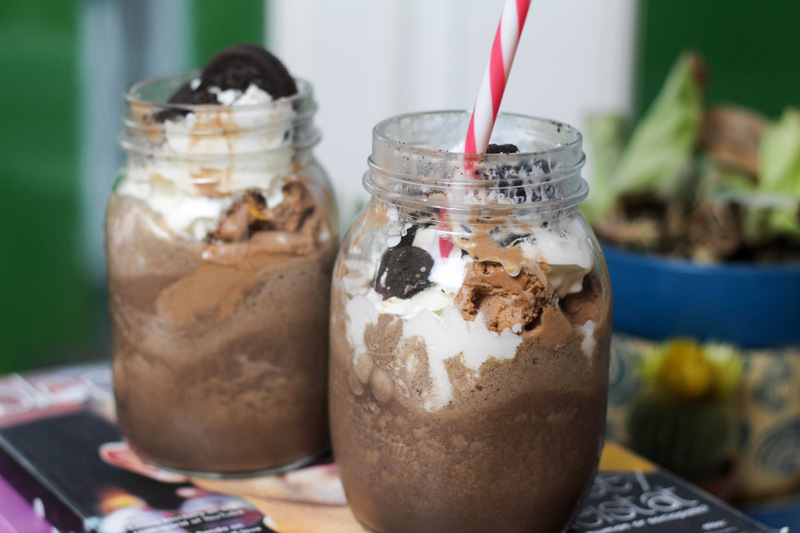 These thick shakes look bloody incredible as well, and now I'm massively craving a good oreo.